Renewal Ministries conducted its first Cameroon mission in July of 2014, when the bishop invited us to lead a retreat day for priests in Bamenda, and a catechesis and training session for 200 prayer group leaders in Yaounde, along with other ministry and teaching. The team was led by Country Coordinator, Peter Newburn. During its first visit, the team spent about two weeks doing evangelization campaigns, lay leadership formation, and retreats for priests in Douala, the largest city in Cameroon. On its return visit in 2015, the team led the annual clergy retreat for the priests of the Diocese of Mamfe in Cameroon, and provided training in the Unbound method of deliverance and healing for 200 lay leaders representing the twenty-four dioceses of Cameroon. Renewal Ministries was again invited back to Cameroon in 2016 & 2017 to facilitate personal and ministerial renewal for diocesan clergy and to provide training in the Unbound method of forgiveness and healing for lay leaders in the Catholic Charismatic Renewal from 10 differenct dioceses. 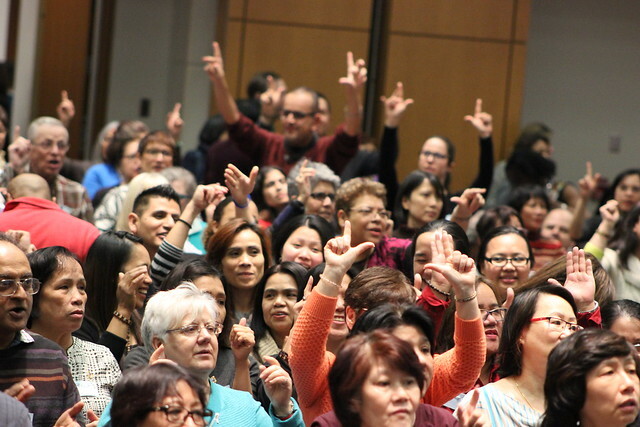 In addition to the Priest Retreat, the Bishop has requested formation and training for lay leaders in the Catholic Charismatic Renewal in Unbound. His desire is for a methodology for healing and deliverance that is compatible with Catholic teaching and tradition and which promotes stronger collaboration with the clergy.